Located in the middle of Quebrada de Humahuaca, Tilcara is a popular base for foreign and local visitors to explore the UNESCO World Heritage listed valley. 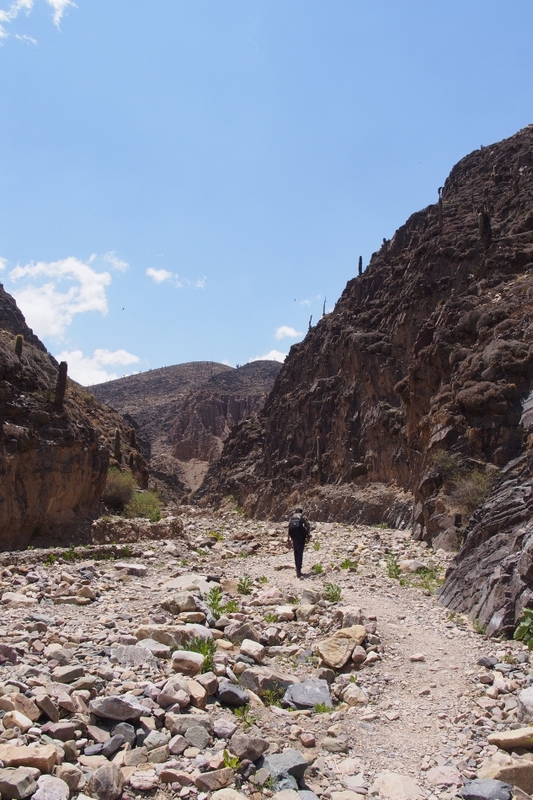 We specifically chose Tilcara as our base to visit Quebrada de Humahuaca because of its better selection of accommodation and the town’s less touristy atmosphere. Instructed by Felipe, one of the owners of Antigua Guesthouse, we decided to go for a half-day hike near Tilcara. 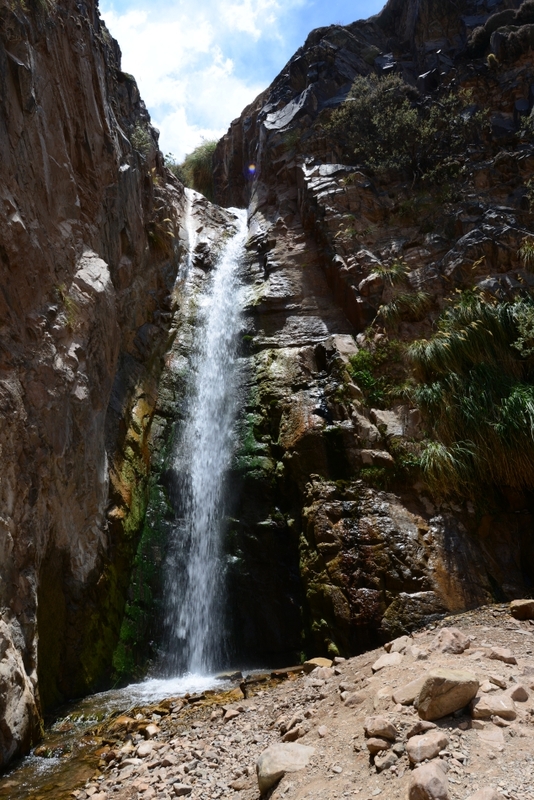 The entire hike took us about 5 hours including return, taking us to a canyon and a waterfall at a site called Garganta del Diablo (Devil’s Throat). As we walked uphill to the trailhead, we could see the colourful hills at both sides of the valley. The clouds were low, covering much of the distant mountains in shade. 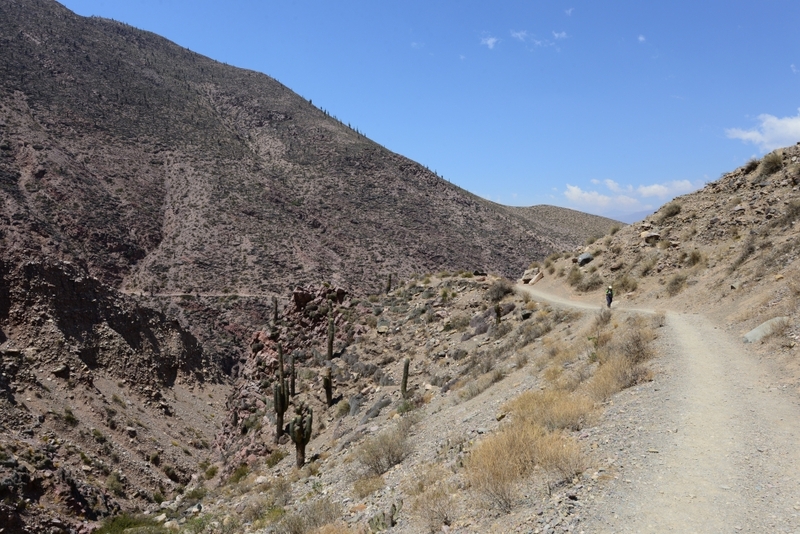 The walk uphill to the entrance of Garganta del Diablo was pleasant, but could get quite windy at times. 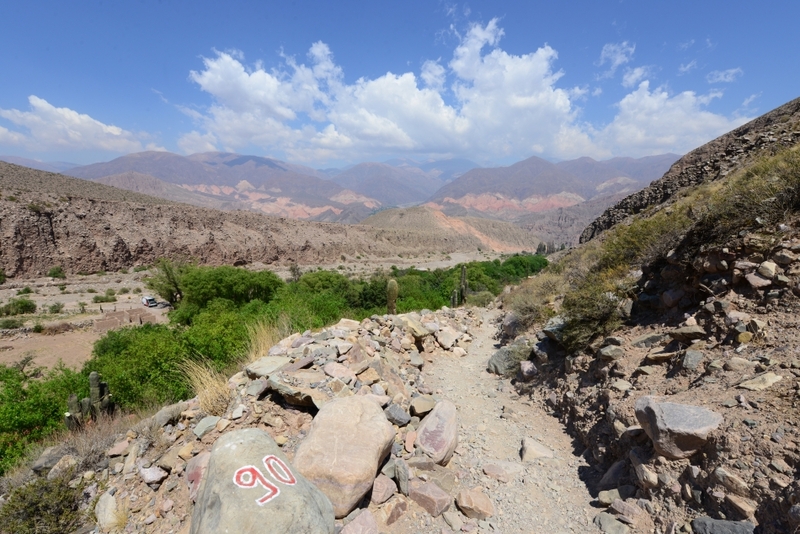 It was quite a popular hike as we shared the route with dozens or so of Argentine tourists along the way. Giant cacti dotted on layers of rocky slopes. 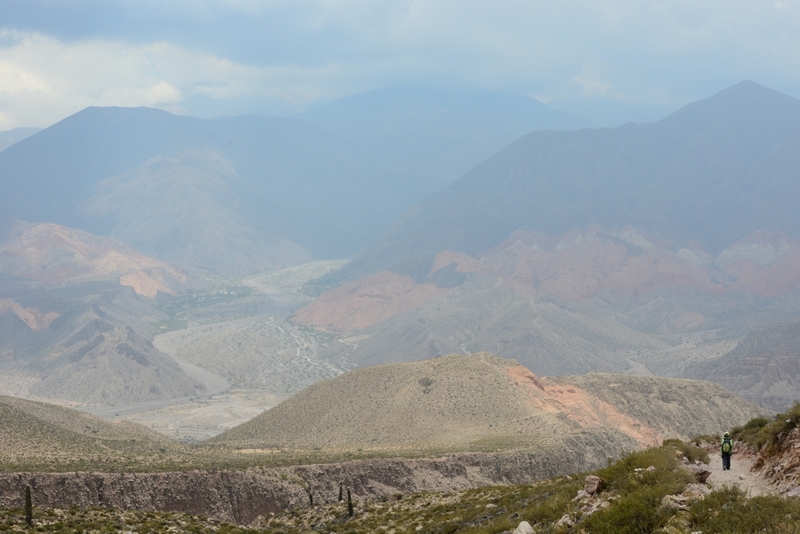 There were some similarities to the landscape of Tupiza in Bolivia, only we could see more greenery here than in Tupiza. 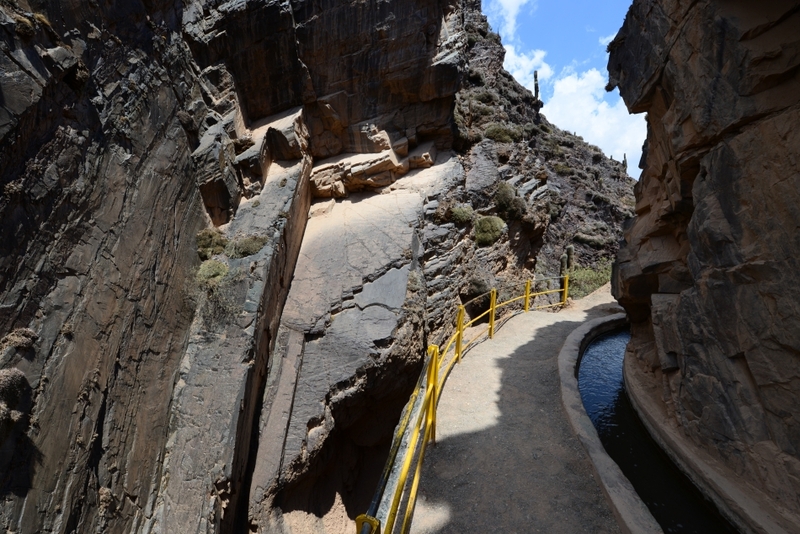 At Garganta del Diablo, we paid the entrance fee before descending down to the canyon. At the bottom of the canyon, we followed the stream for about 20 minutes until we arrived at the waterfall, where local visitors enjoyed a dip in the water or a sandwich lunch. 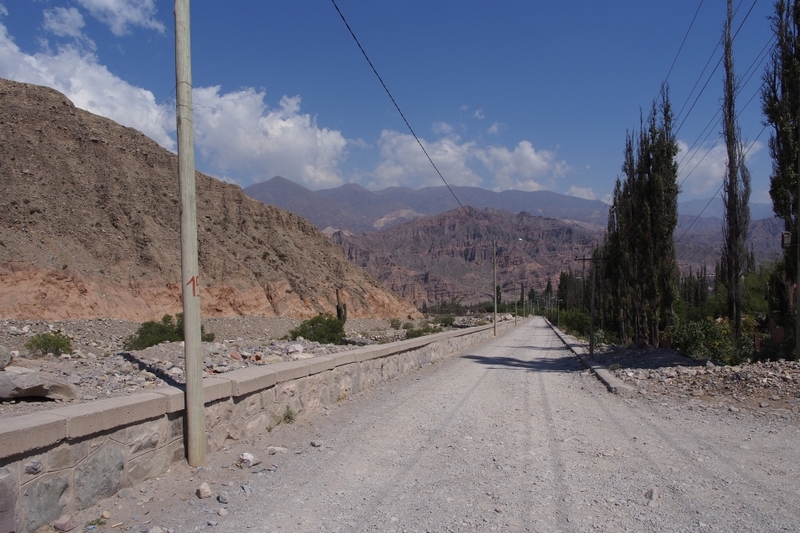 Some kind locals offered us two cups of Argentine wine while we all took a good rest before the return journey. This entry was posted on November 24, 2013 by Blue Lapis Road. 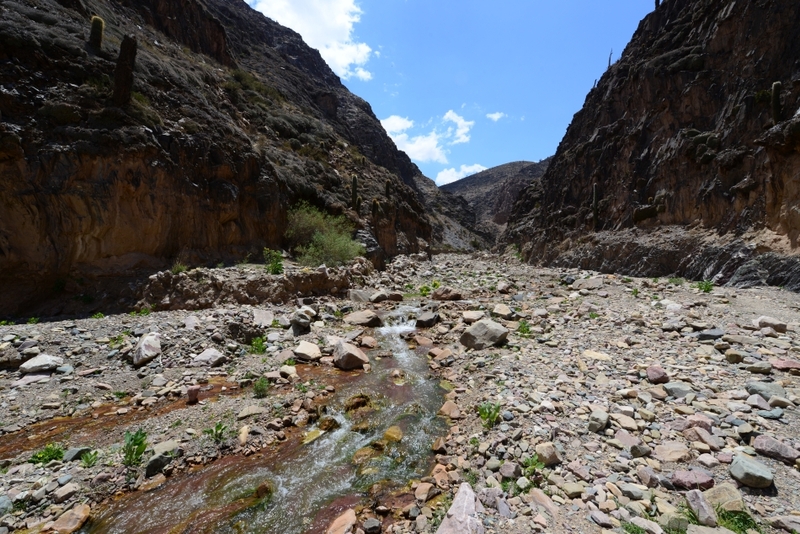 It was filed under Argentina, Day 41 to 50, Northwest Argentina and was tagged with Argentina, Garganta del Diablo, mountain, Quebrada de Humahuaca, Salta, Tilcara.